Matt Bomer guest stars in the new "Anchor Away" as a handsome and openly gay TV news anchor with whom Will (Eric McCormack) is completely besotted. Alas, the hunky host has a weakness for pretty but shallow dudes, so Jack (Sean Hayes) urges Will to tamp down his natural personality and act like — well, like Jack. 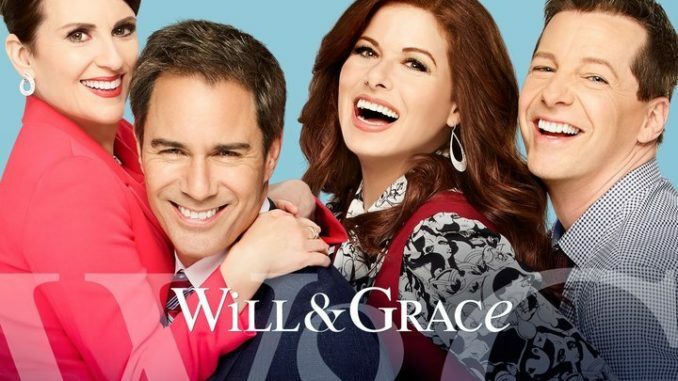 Elsewhere, Karen (Megan Mullally) will receive only limited alimony unless she can prove her ex Stan cheated on her with Lorraine Finster (guest star Minnie Driver).